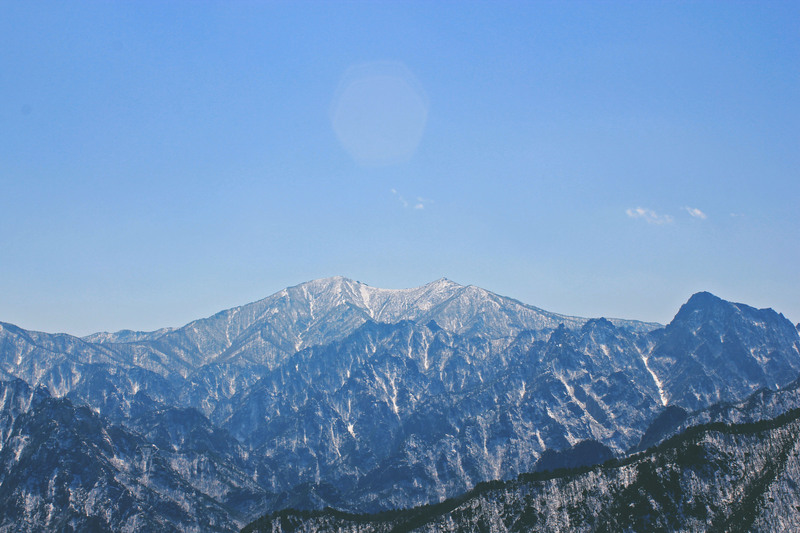 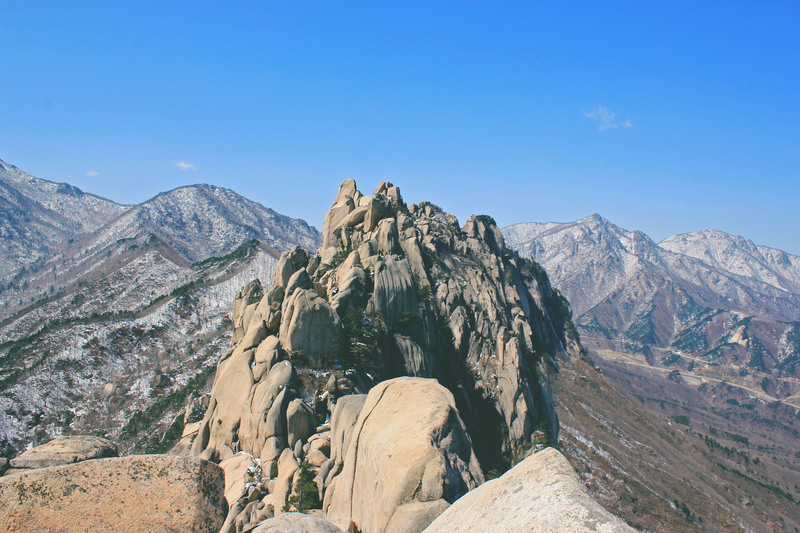 Anyway you cut it, a clear day at Seoraksan National Park is an extremely rare occurrence. 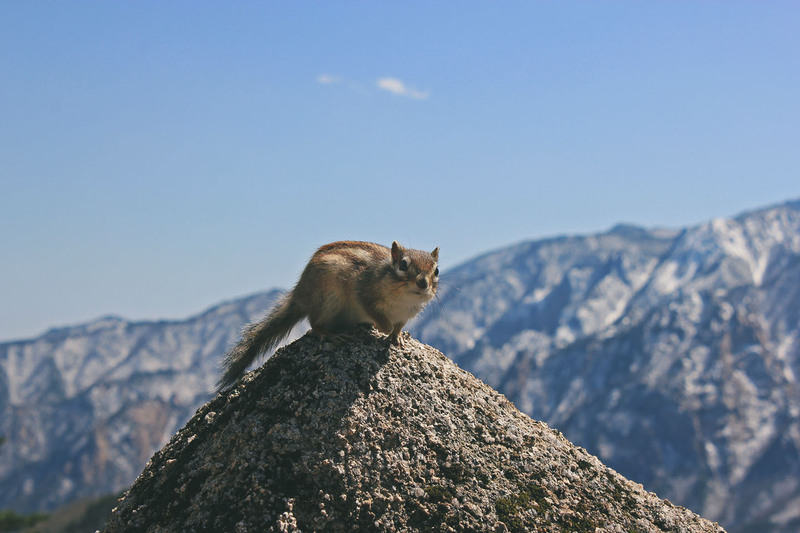 I’ve been lucky enough to visit the park more times than I can count and have experienced the full gamut of weather conditions: everything from freezing rain / hail / snow to blistering, suffocating heat. 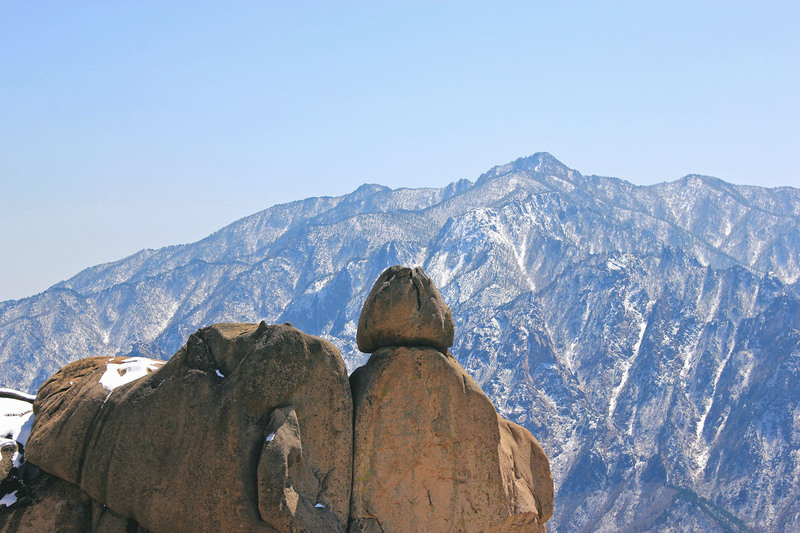 I’ve also been fortunate enough to have a few visits to the park be blessed with absolutely perfect weather. 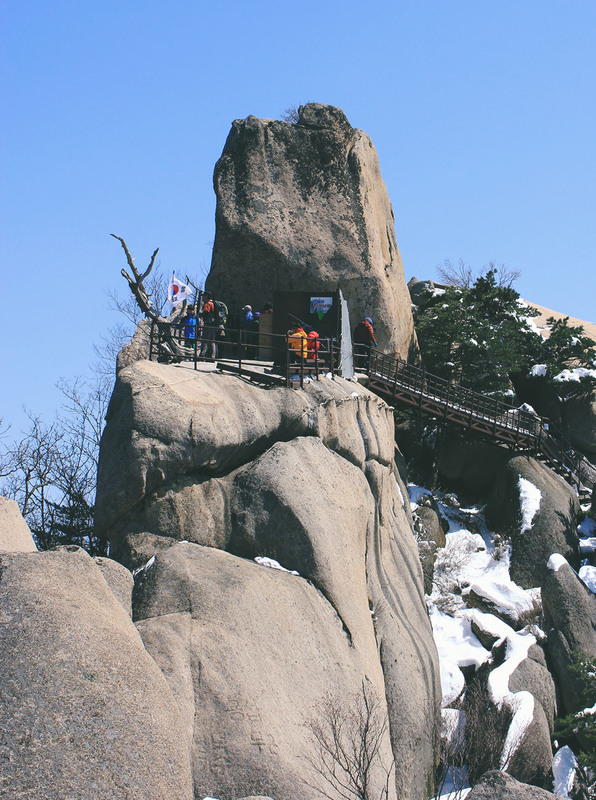 In April, Inner Seoraksan is closed due to risk of forest fires, leaving only short, but nevertheless rewarding trails open. 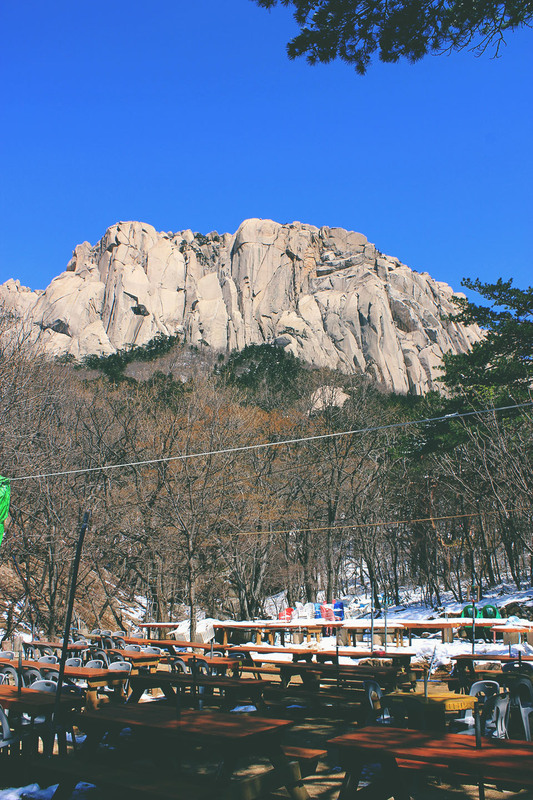 Never having hiked Ulsanbawi, the rock of legends, this was a great opportunity to visit one of my favorite places in Korea. 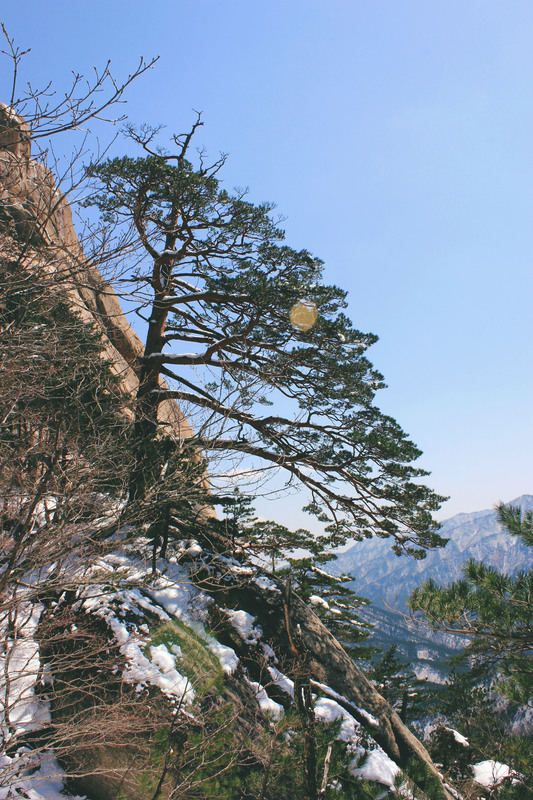 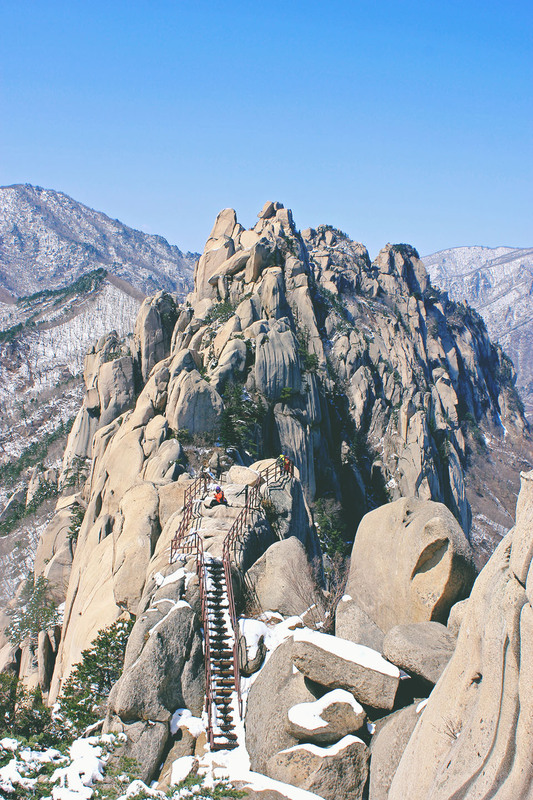 Despite the Korea National Parks website’s outrageous claim that Ulsanbawi is one of Seoraksan’s most challenging hikes, it’s a straightforward climb to the 876 meter peak. 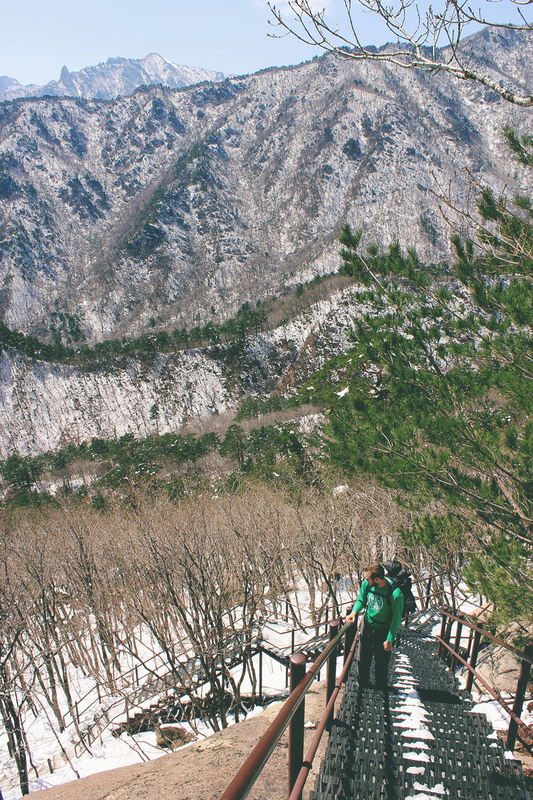 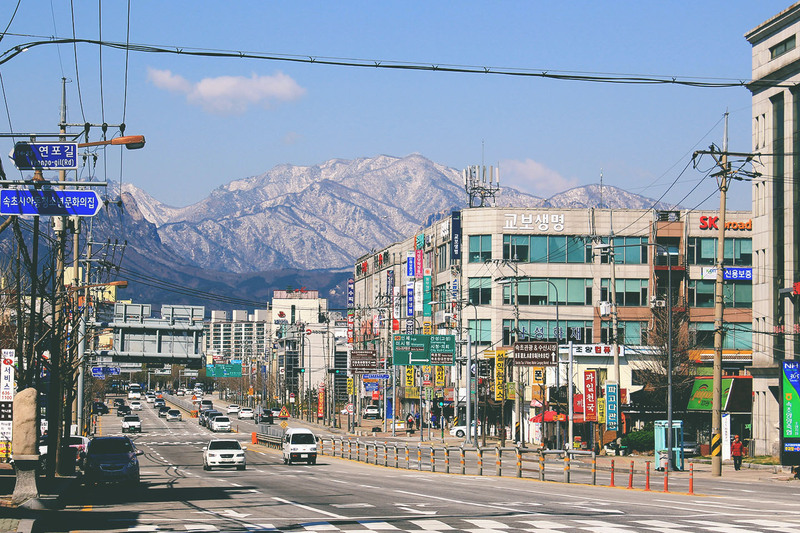 A quick hour and less than 2 kilometers will gift you remarkable views of the East Sea, Sokcho, Inner Seoraksan, Daechongbong, the park’s highest peak and, perhaps most impressively, the jagged ridge of Ulsanbawi. 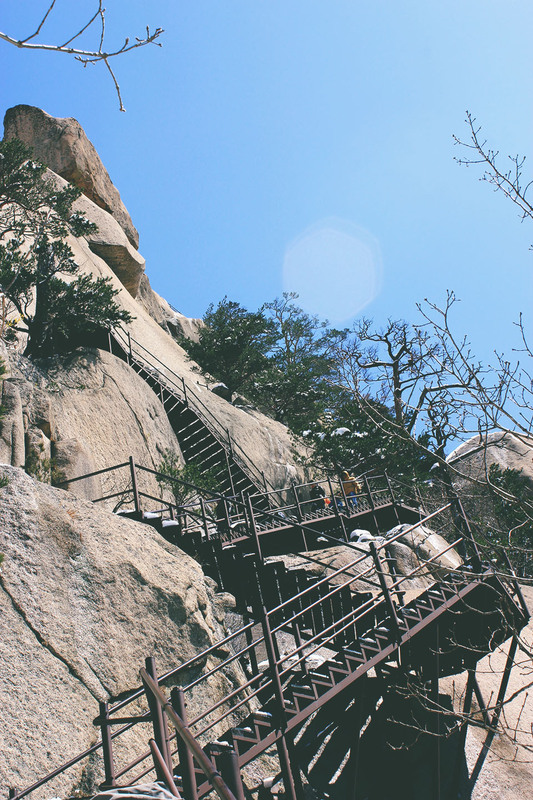 If you have a few hours to spare, Ulsanbawi is well worth the burn of climbing a few, albeit steep and long, flights of stairs. 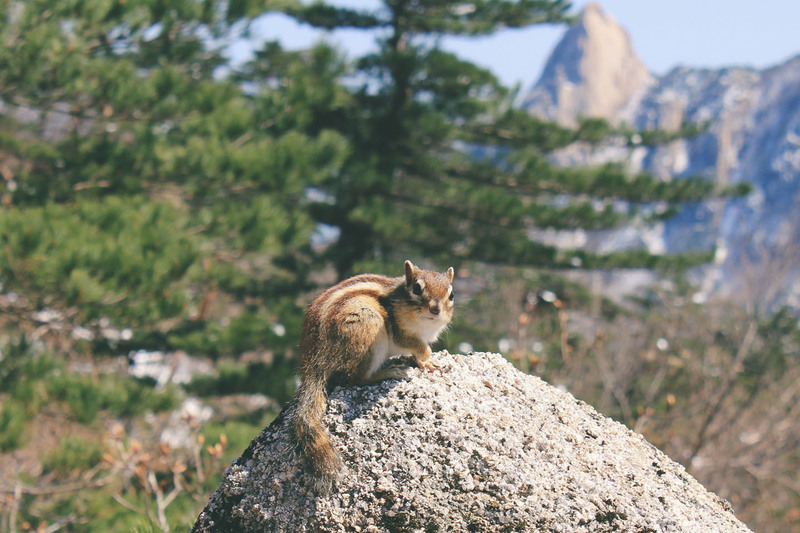 As always, thank you for taking time out of your busy lives to take a glimpse into mine.